The University of Georgia (UG), Tbilisi is the biggest private university in Georgia (the republic), with about 6,000 students, including over 1,000 international students. 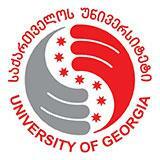 Currently UG is on a mission of transforming into a leading research university in the Caucasus region. Integrating into the global scientific process, incorporating cutting-edge methods and fields into the university’s teaching and research activities is a priority. As a part of this transformation, we are looking for a Civil Engineering specialist with substantial research expertise. The salary - highly competitive by the Eastern European standards - will be agreed upon individually. Supervise students in relevant fields. Broad/multidisciplinary research interests are an advantage.